When the landscape of your home or business in the Greater Kansas City area integrates seamlessly with the local flora, spring can be a time of enormous change. As longer days and warmer weather begin in late March and early April, Red Cedars bloom, Western Yarrows show off wonderful whites, and Ninebarks display gorgeous yellows and deep copper hues. This is a great time to evaluate which native species complement your exterior and which ones clash with it. As you clear away dead branches, prune overgrown shrubs, and rearrange flowers in the soil, you’ll find new ways to integrate nature with your hard-scaping. Homeowners from the Northland to south of Overland Park are finding exciting and creative ways to combine local flora with their pergolas, fire pits, and other outdoor living spaces. 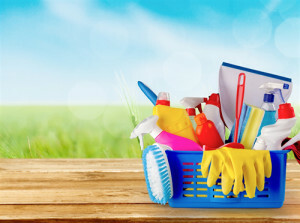 Don’t forget the important role outdoor spring cleaning plays in pest control as well. Bugs love overgrown shrubs, trees, and grass. Looking for new ideas this spring for how your property can take advantage of the beauty of local plants? Give us a call today at (913) 888-2400 to speak with our professionals.